This is what the new 2017 Supporters Club member ID card will look like! The 2017 Supporters Club member ID card will reach all Supporters Clubs at the beginning of the year, which will be the fourth year in which this document directly links the members with the Club. The new design presented this year maintains the blue and red colors to identify each Supporters Club member with the Barça. The card will have a blue background adorned with red colored stripes and FC Barcelona shield. 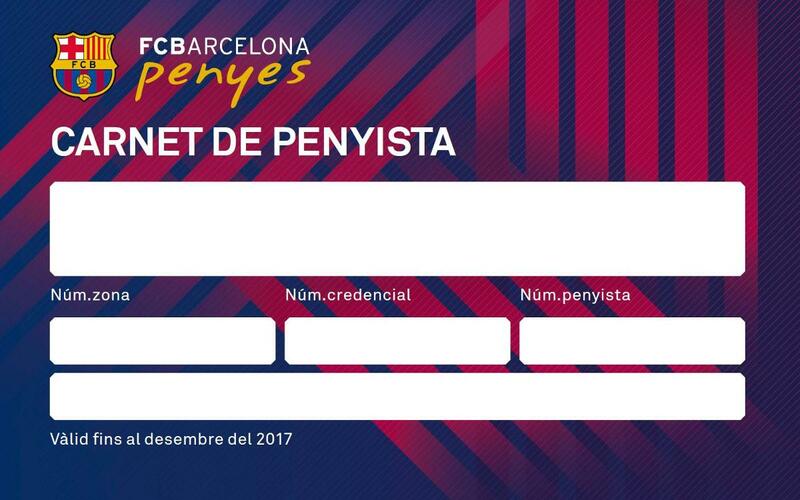 In addition, the card will maintain all the advantages and discounts so that the Supporters Club movement may continue enjoying the spaces and services offered by the Club, participating in events organized by FC Barcelona, supporting our teams and continue “creating the Barça feeling” in the territory.